The Best Costa Rica Tours, originally uploaded by Bednarski Media. Picture taken on our way from Jaco to San Jose with our tour guide, Manuel. 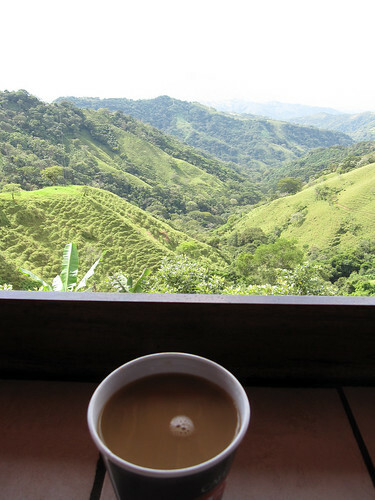 Drinking a cup of coffee with an amazing view - a coffee plantation. Manuel is the best guide you can have. He even gave tour to Danny DeVito. He's young, funny, and is more like a friend and not a guide. You can contact him at joamatravel@gmail.com to schedule tours to Manuel Antonio National Park, Arenal Vulcano, airport transfer and probably wharever you like. You can even take Spanish lessons while living in Costa Rica. Everything MUCH CHEAPER than if you book by tourism company. That's a great wish for me, visit a coffee plantation - i'm a coffee lover - and yes the view amazed me.